Congrats to all of the 2016 Rodeo Winners! We look forward to seeing you in 2017! THANK YOU FOR ALL YOUR SUPPORT AND PARTICIPATION OVER THE YEARS! Would you like your business to get exposure to hundreds of people from all parts of the country? 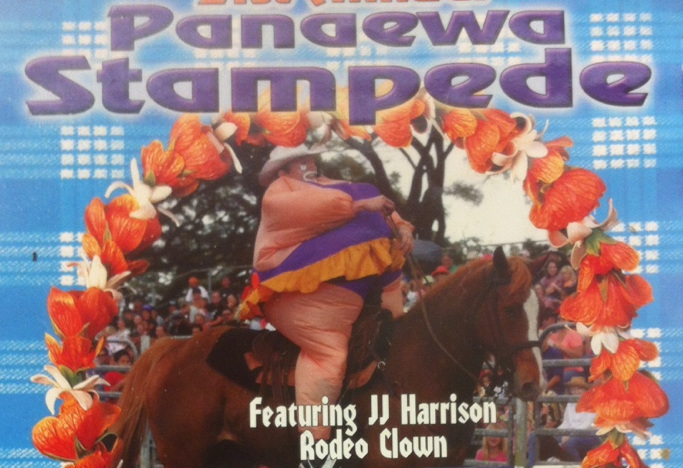 Then you should consider being an event or signature sponsor for The 2017 Panaewa Stampede Rodeo. 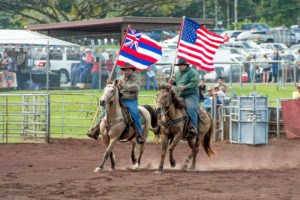 The 21st Panaewa Stampede Rodeo is a two-day rodeo that highlights the Paniolo skills of our local cowboys, cowgirls, keiki and traveling rodeo contestants in traditional cowboy events, plus three events that are unique to Hawai’i. It is a show that is entertaining as well as educational. Included with the rodeo are a funny rodeo clown, professional announcer, food booths, craft booths and leather and saddle making exhibits. A cultural and historical display tent will provide the Paniolo history in Hawai’i with highlights of the Big Island. JJ is a kid magnet and his efforts are not going unseen. He has been booked at many of the PRCA’s top events. 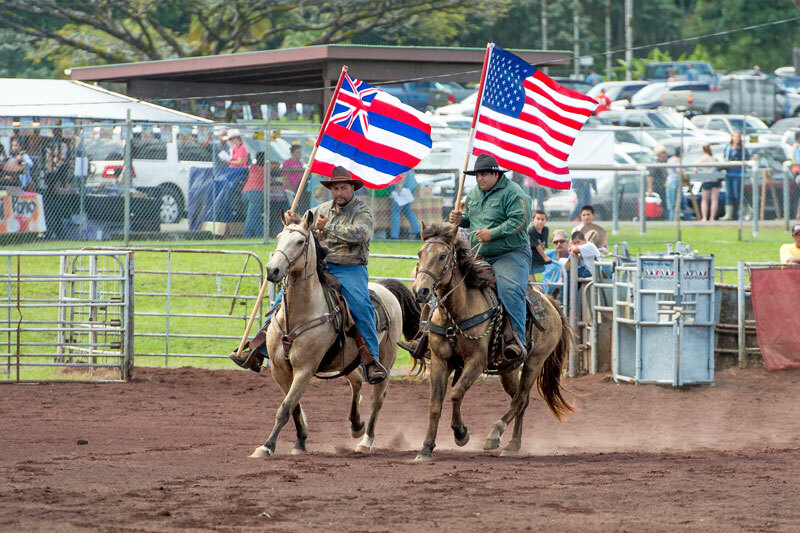 Please Join us this Feb.
Panaewa Stampede Rodeo (Saturday, Feb. 18 / Sunday, Feb. 19) – Check out rodeo Hawaiian-style at this weekend event featuring an amateur competition between cowboys, cowgirls, keiki and kūpuna. Enjoy paniolo (cowboy) demonstrations, Hawaiian musical entertainment, food and craft booths. 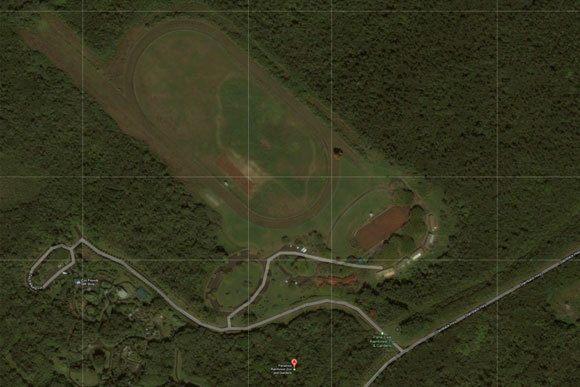 Panaewa Equestrian Center in Hilo, noon – 5 p.m. both days. Fee. (808) 959-8932 or visit www.hawaiirodeostampede.com. 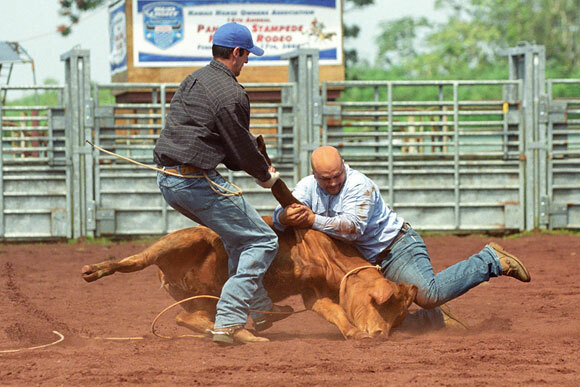 Double Mugging is an event where one cowboy ropes a steer and another cowboy on the ground attempts to bull dog the animal to the ground. The cowboy on the horse dismounts and helps the other cowboy. 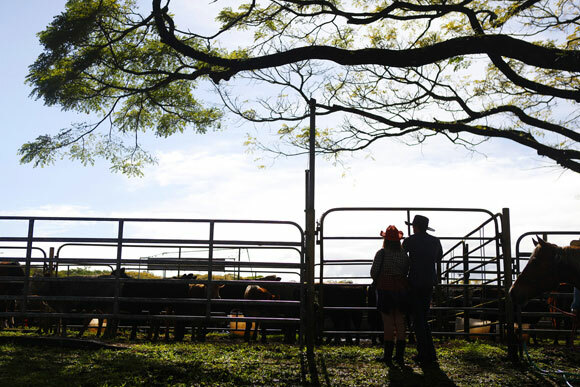 The object is to get the steer to the ground and tied as fast as possible. Many rodeo fans come just to watch the Double Mugging.